I have to admit – I love this one. This Molly & Fig Magnet of the Day features Ginger, one of my favorite photography subjects. Ginger is just the sweetest dog. The line” I wake up this fabulous” – written by Megan Colleen McGlynn – fits her perfectly. 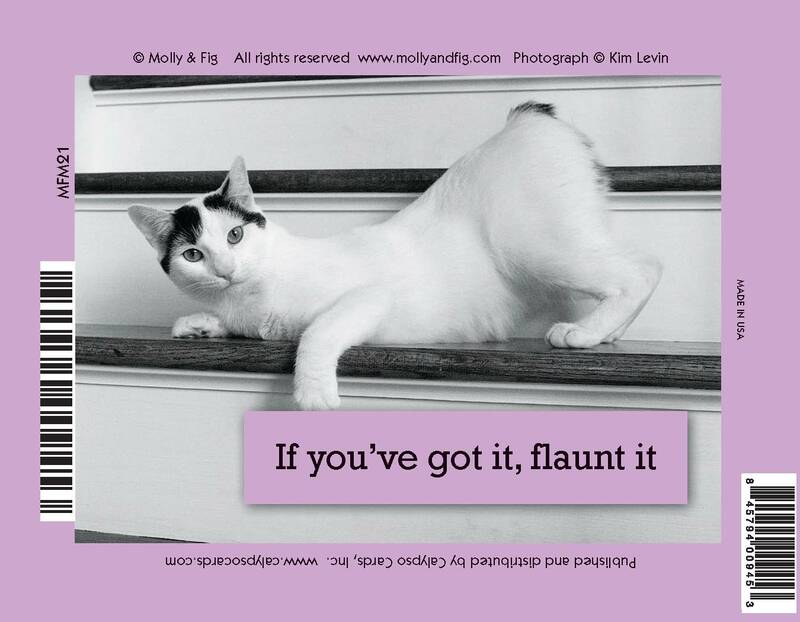 To order this magnet or other Molly & Fig products wholesale, go to www.caylpsocards.com. To order Molly & Fig cards and magnets at retail, contact Kim directly at kim@kimlevin.com or www.kimlevin.com, If you have a pet store or boutique in NJ and are interested in carrying the M&F line, Kim can arrange that as well. You are currently browsing the archives for the Magnets category.